Ditch those tired ol' Docs and get yourself a pair of real motorcycle boots. The TCX X-Blend Boots do just what its name implies; blend style and protection into a comfortable all-rounder that can be worn on or off the bike. Full grain vintage leather combined with a waterproof lining and reinforcements in the ankles and heels gives you uncompromised comfort and safety, while retaining the vintage combat boot look that has been popular since, well....forever. Super comfy from the first wear, which could mean the leather might be a little on the soft side and makes me wonder how long it will hold up. But the ankle protectors are solid, the height of the boot is perfect, the heel/toe cups definitely feel reinforced without being overly stiff, and they look pretty darn good. All around nice boots for the price! Only had boots couple weeks so don’t know how durable they will be. Hopefully I’ll never know how well they protect my feet. I like the style and comfort. They fit well. Recommended. These were super rad! I've been wanting to get a new pair of leather boots (Doc Martins Fanboy from back in the day) and I saw these. I actually returned a pair of SIDI causal boot things... no where near the protection of these guys. I have these and a pair of SIDI track boots... these feel very protective (maybe 75%) the protection I would get from track boots. Super durable and look great in jeans or as dress shoes with a pair of slacks. Water proofing is great. Don't breath much, but get yourself a good pair of socks and you'll be fine. I purchased these boots for my Harley Davidson Sportster. I've been pleased with how these boots have performed. I have never used TCX boots, but now I am a fan of them. I wear an 8.5 US in Salomon boots and shoes for reference. I ordered a 41, and they fit great. They will break in a little bit, not it is not a lot. I've had them for six months, and they are holding up great. I've put about 1,000 miles on them so far. I've only worn them in 40+ degree weather with thicker socks, and they are kept my feet warm. On longer rides in warmer weather (75 degrees), I've noticed my feet do get a bit sweaty. I don't think this is a bad thing as most boots will get warmer in my opinion. Overall, I'm happy with these boots. I would buy them again and recommend them. I will be purchasing other TCX boots in the future. These are great looking boots. Have been very comfortable wearing them on a daily basis. The only thing that bugs me is the fact that TCX claims they are waterproof. Had them only a couple of weeks before I figured out they are not. The whole reason I bought these boots was to have a pair of boots I can wear anywhere and not worry about the rain going down the highway. Any serious amount of time going down the road in the rain and your feet will get wet. I honestly would buy another pair but, will probably look else where. I needed a good riding boot and was tired of heavy clunky boots that made it hard to shift and felt like weights when wlaking around. In comes the TCX X-Blend WP Boots. I LOVE THESE BOOTS! I just bought them and they came about two hours ago. I put them on and went out on a thirty minute ride. They feel great! They are very comfortable, sturdy and shifting was easy and smooth. Comfortable right out of the box. In my opinion, they run slightly large...I wear a US 11 so according to the sizing guide I ordered size 45EU. They're slightly bigger but not by much. This will come in handy during cooler weather and wearing heavier socks. May not be WP but still excellent boots! I have put about 5,000 miles on them in addition to using them as my winter boot. Overall, I and am very pleased with my purchase. I find them to be extremely comfortable, provide good traction, offer a fair degree of protection all while looking good. As many have stated here the waterproofing seems to be hit or miss. I recently tested the boots in the tub and they failed. I contacted TCX and they were fantastic about honoring my warranty! In fact, am wearing my new pair for the first time as I type this. Is this pair WP? I'm not sure, but, even if they are not, because of how the fit, feel, and function I am still very pleased with my purchase. I wear them everyday. They are comfortable and tough. Weather resistance is a big plus and it works. These boots are pretty comfortable right out of the box. There wasn’t really a breaking in period. I wear size 7.5 women’s (but wide) and got the 39s, I could have gone to 38 and been fine but they still fit great. I can’t really speak to durability since I haven’t had them long enough to test lifespan, but they seem solid and well made. Highly recommend. Looks great, especially in brown. Hope they are supportive and comfortable. I was looking for a comfortable waterproof boot. These boots are perfect. Best overall choice by color, flex, protection, and reviews. Great protection, comfortable and quality ! wish their size ran smaller than their smallest size :( i have small feet. but other than that, looks great! hint: i sometimes wear it when i have no intent of riding that day. Has good reviews. Look really cool like I can wear them casually if I need waterproof boots. Great boots, great fit, great looks, Very confortable for all day use. I wanted water proof boots that could be worn under jeans / business suits. These look like they may do the trick. Proof will be in the pudding, I will let you know. Fits the cafe racer/street bike style of shoe I'm looking for and has plenty of protection for falls. Have done a lot of research on a comfortable boot for riding. These were #1 for a lot of videos and comments. There stylish and looks perfect for riding a Harley! I wanted a pair of motorcycle specific boots that offer good levels of protection while on the bike, but that will still allow me to do a fair amount of walking around the work-place without either looking out of place or being uncomfortable. From the reviews and the video description it looks like this is the perfect fit for that purpose. Leather, Classic looks, added protection. Love the shifter patch on the top of the toe. Much like my MX boots. I was surprised as to how fast I wore a hole in my standard issue boots with the shifter. Good enough for combat but not riding. Like any leather waterproof boot needs a little wear to feel right on the foot. TCX makes great products, and I could not pass up these boots for waterproof and protection. These boots is like a classic car brought up to modern standards but done with class. They're sleek and simple but very technical underneath. After watching numerous reviews I decided on the TCX as a quality mix of a motorcycle-oriented boot with some protection that I could also wear during my work day. I do want to purchase a more moto-specific boot in the future, but for now this item will be ideal for my needs. Research a lot of different boots and styles. What was important to me was protection, comfort, waterproofing, and looks. The TCX X-Blend scored on all factors. A great boot. After 6000 miles. still best boots ever! Looks comfy and not too racer style. HIgh enough, but not too high. Good reviews. My old Frank Thomas boots are worn out. Thought I will try something different. Will report back after I get them...just ordered it. comfortable well designed boots both on and off the bike. They fit well. waterproof and retro without the storm trooper look going on. plus they look good riding in shorts. Needed a comfortable boot to commute to work and wear. Excellent styling, waterproofing, and grip in wet weather. Looking for this style of boot, and after reading reviews for all of them, decided these TCX boots offered the best compromise between quality, protection, and style. Best looking black city boots! TCX quality and great reviews. Very impressed with my other TCX purchase the TCX X Street WP Shoes. I ordered the Icon Prep boots but they may be a little more boot than I'm comfortable with for daily use even in cooler weather. Going to compare and choose one. The Prep clearly a offers the better protection but only if you wear them. Good ratings, Great fit. Love the look of the leather. Love these boots! I looked long and hard before I pulled the trigger. I wanted something that did not look like a motocross boot or an old man zip up cross tour boot to fit my classic retro them. I feel these offer excellent protection and the price point is hard to beat! Very comfortable off the bike also. 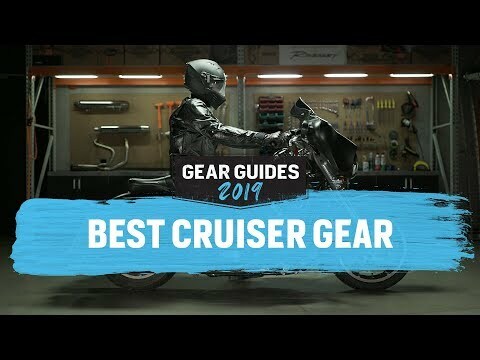 Looking for a good riding boot for both on and off the motorcycle. This boot has it all.......... style, comfort, waterproof, and safety! lots of compliments and just great to wear all the time and jump on the dirt bike, touring bike or walk into a restaurant w/o looking like you rode your bike! This looks like a good pair of riding boots, good price great looks. Hi. I'm a very standard 10.5 US in most shoes/boots and that normally corresponds to a 43.5 European. The sizing here, though, aligns a 10US with a 44, which doesn't jive with my experience. I have some motorcycle-only boots that I use most often (some Dainese) so I'm looking for something I can use both on and off the bike. So I plan on walking in these too. Any thoughts on A) the best size for me and B) whether they work also as a good walking boot (around town, not "hiking" obviously)? BEST ANSWER: Just received mine....I wear 10.5 sometimes 11...and ordered the '44's (10) and my toes don't touch the end....I have simi-thin socks....not thick, which would be a bit snug. I notice it has removable in-soles. I am happy and time will tell if they stretch (probably not)...but like they way they feel when walling. I wanted something like you to walk around in as if you didn't get off a bike..plus they look GREAT with my draggin blue jeans. They are a bit warms so may have to use them mostly in the winter? Not sure yet, jury is still out. I might wear these and one day get the 11's and put in an Dr. Scholl's cushy foot insert? I like they first feel and if you want I can respond later...I know this was year ago, but I can't wait to wear them regardless of riding the bikes at the moment! Feeling good tonight! These are very comfortable for walking. I put a lot of miles on them on both street and hiking. I'm also a 10.5 and the 10/44 fits perfectly. BEST ANSWER: Judging from the video I dont think so. The sole looks like it is not stitched but glued. BEST ANSWER: I can't say with complete certainty that they can be, however they're stitched all around the bottom and top of the sole so I THINK they could be. However, I do see some adhesive residue around the top of the sole, so if anyone here is an expert, you input on this information would be appreciated! I found that the entire boot wore out at about the same time. Since the soles are abrasion resistant ( they lasted longer than any sole I've had on workboots) by the time the soles wear out, the leather will probably be worn enough to compromise the overall integrity of the shoe. I'm a size 10.5 on most shoes. Should I size down or up? BEST ANSWER: They ran large. I would go a size down. I'm a size 10.5 - 11 on most shoes and I sized down at the recommendation of the customer service rep. I had to return the size 10 for a size 11 and pay the shipping cost. I would go with the 11 worst case you will have to exchange them for your correct fit. I too am 5'10. I ordered size 44. The laces made them difficult to unlace and remove. Changed laces to a smoother waxy type for hiking, works great. I love the boots and sizing was perfect. They really provide solid footing and look great. Are these boots CE certified ? BEST ANSWER: Yes, they are CE certified. The label on the inside of each boot has the CE label. Hope this helps. They might say CE Certified but they also claim these boots are waterproof - they are NOT! Also, they are very comfortable to wear... meaning, flexible... meaning not the most protective boots on the market. Looking at the tread on these shoes it appears they don't offer that much traction. Very low-profile pattern on the sole. Can anyone provide some feedback on that issue? Thanks. BEST ANSWER: Having owned these boots for over a year and having used them extensively, I can safely say that they do offer a solid and satisfactory amount of traction. Having ridden in dry weather, rainy weather, warm, and cold: These boots offer a reliable amount of traction that leaves you feeling confident and stable. 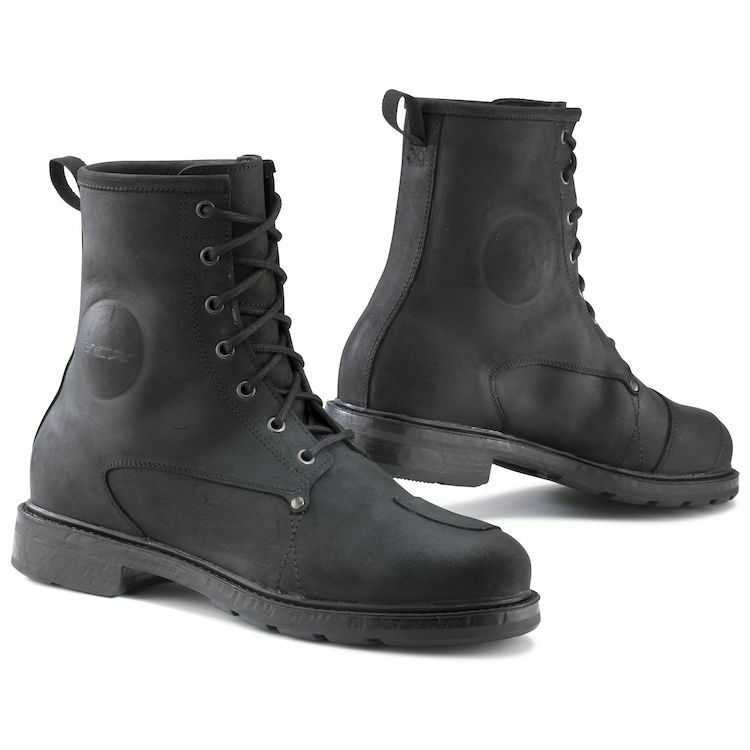 The sole is also quite sturdy and rugged providing a sense of safety and durability. Having said all that - I'm referring to their use as motorcycle boots and general wear-arounds, not trail running etc. I have had these boots for about two years. I ride to work a couple days a week and on weekends when it's nice. I have only had my boot slip once in all that time. Looking down afterwards there was a huge oil slick in the center of the lane where I put my foot down. I can not totally blame the boots, I should have looked. I would buy these boots again without any hesitation. They are decent. Not the best, but also not the worst. Haven't had a fall because of it, but if you are a shorter rider, and can only get one foot down, I would try them on and see how it goes. Haven't tried to step on oil or anything. Just for loose gravel and such. These boots have good traction. I've been wearing my boots for over a year now and, I just measured the depth of the main tread, it's over 3/16". I've never had an issue slipping, even on rain-soaked pavement. BEST ANSWER: The X-Blend boots are approximately 8 inches tall, measuring from the insole to the top of the boot..
Maybe 2 inches above the ankle. The round padding on the side of boots is located over the ankles. 9 1/2 inches from floor to top of boot. 8 inches from sole to top of boot. Can a cobbler replace the sole? i.e. is the sole replaceable when it wears out? Does this boot have a removable insole? BEST ANSWER: Yes; there's not much to the removable insole itself so I'm sure you could replace it if you wear it out or require a specific replacement insole. The boot itself is outstanding, by the way. Love 'em! It does. Good boots, comfortable on the bike and walking. I had to go up a size because my feet are a bit wide. Yes it does the insole comes out. The boot is very much like a regular boot, but it has armor. yes, but you must dig down. I'm a correctional officer and am in need of a boot than can hold a shine and preferably pass through a metal detector. Would this be the boot for me? BEST ANSWER: This definitely not shiny boot equipment. But it is very comfortable and waterproof! They have a flat suede finish. It won't shine.